PH Accountancy asked us to rebuild their website from the ground up, which meant re-thinking the vast amount of content they had on their previous site. 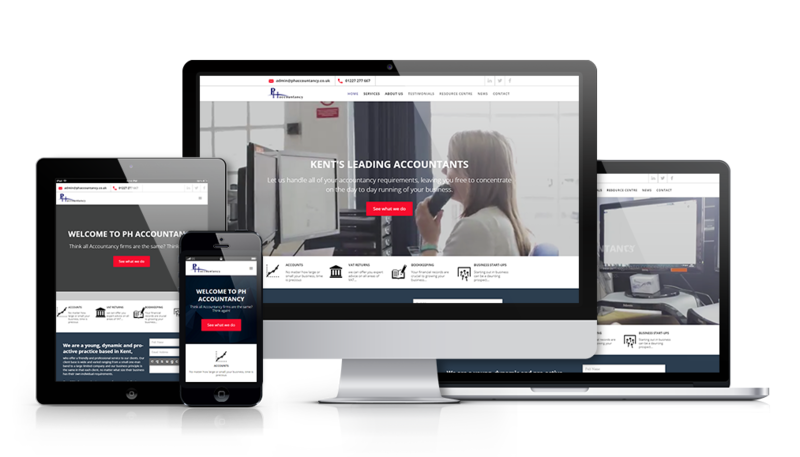 It was crucial that the new website was easy to navigate and information was readily available, and an easy to use blogging engine was essential so the team at PH Accountancy could update it weekly with the all the latest news and information from the accountancy world. We created and built a website that is fully responsive, and features a user-friendly and robust CMS, so changes to the content can be made with just a few clicks.